Want to Safely Heal Your Ankle Sprain Faster with Easy-to-Do, Home Exercises? I understand your situation. The doctor has ruled out any serious damage, which is GREAT news, but it’s still a painful ankle sprain… So, now what? How do you make sure it doesn’t linger? Or is it too late for that? Did your doctor offer much advice (other than to rest)? Most do NOT… It’s not their area of focus, and a normal ankle will heal – EVENTUALLY. But what are you supposed to do while waiting? For athletes, what about conditioning? Is that still possible? Is there something you could be doing to heal yourself quicker? Is there a way to strengthen your ankles and avoid this injury next time? The answer is YES; however, there is a risk with strengthening an injured ankle. You do NOT want to make things worse. That is a major concern… And something I can help you avoid! Doing NOTHING is NOT the best option either. Ankle injuries tend to last and re-aggravate frequently. If you want to overcome your ankle sprain faster, you need to learn about Ankle Sprain Solved. Although Ankle Sprain Solved encompasses my 20+ years of experience and Master’s Degree in Exercise Science, the basic principles of this program began with a young man named Brian. His mother brought him into my gym for an appointment almost 10 years ago. Brian had a Grade-I ankle sprain from playing with his friends in the backyard. Their family doctor ruled out significant damage, and when Brian asked about conditioning with an injured ankle, the doctor told the family to see me first. Brian was a little smaller than your average 12-year-old, especially for hockey, but he didn’t care about that. Brian was determined to be ready for the start of the season, which meant some sort of conditioning. However, his family was concerned about making his injury worse. During our first appointment, we sat down to get his background information. I got him to move his ankle, knee and hip to find the movements that hurt more than others. That gave us a standard for his abilities and improvements. Our initial sessions focused on improving ankle movement, strength, stability and balance. From there, we moved onto full-body movements and low-impact cardiovascular work. Brian really committed himself to the program. I can still picture him riding that stationary bike with an ankle brace. Something he could do at home. I was surprised at his desire to push forward so quickly; however, I wanted to encourage his enthusiasm. So, I gave Brian a few exercises to do in between our sessions. Every week I would see Brian. Every week his injured ankle got stronger. And every week I would send him home with additional exercises. The young man inspired me to find better exercises and strategies for ankle pain sufferers. I dove into more and more research. I wanted to find the best plan for Brain. Most importantly, I needed to ensure we didn’t make his ankle worse. I wanted to protect him from pushing it too hard. That's why I scoured all of the research I could find in order to best prepare him for his upcoming hockey season. After four weeks of appointments and exercises at home, Brian laced up his skates again. He successfully conquered his sprained ankle. He thanked me at our last session, and I never saw Brian again. But as it turns out, I should have been thanking him. Over the years, I have adapted and evolved his program into the current Ankle Sprain Solved blueprint, but the roots began with Brian – and it has helped so many others too. We all thank you, Brian! Ankle Sprain Solved is a SCIENTIFICALLY-BASED strategy! 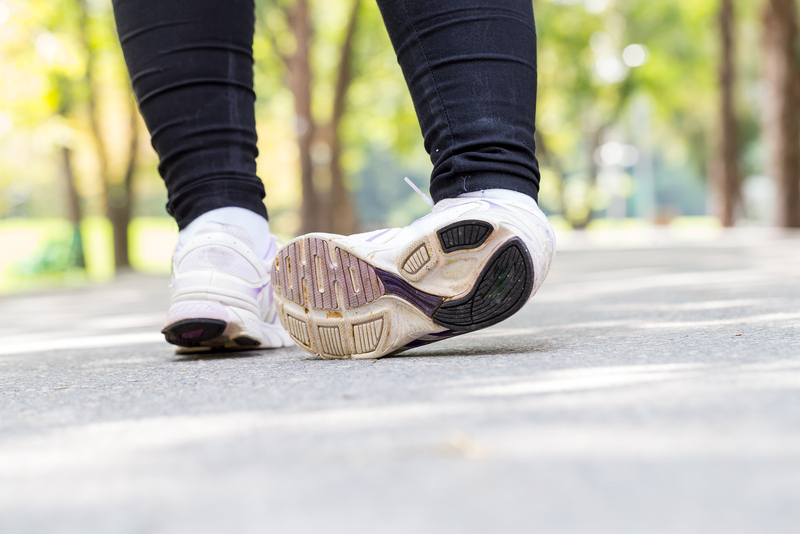 The American Council on Exercise and several medical publications have been sharing their conclusions on ankle sprain rehabilitation. Balance and coordination exercises are generally recommended as useful tools to improve postural control in patients with an acute lateral sprain or unstable ankles. During the early stages of ankle rehabilitation, towel stretches, range-of-motion exercises and stationary biking should be introduced as tolerated. A stationary bicycle is especially good with increasing dorsiflexion and plantar flexion motion in a low-impact, controlled environment. 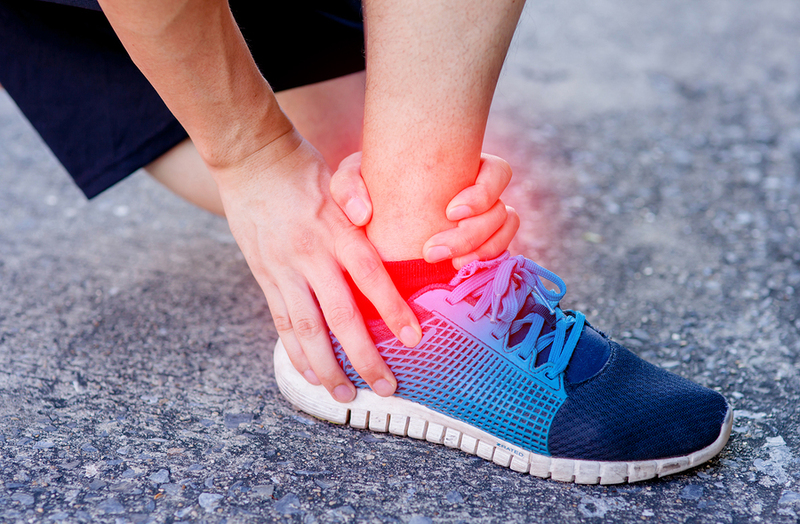 In reviews that focused on the correlation between exercise and ankle injuries, the most frequently cited benefit was the decrease in recurrence of ankle sprains. Static-stretching invention, as part of standardized care, yielded the strongest effects on dorsiflexion after acute ankle sprains. Ankle Sprain Solved can become YOUR standardized care! This program is NOT an assortment of exercises that were carelessly thrown together with ONLY hopes of helping your ankle sprain. This is a comprehensive program that incrementally progresses in alignment with your recovery. I have perfected it through years of hands-on experience and medical research. It has helped Brian and countless other ankle pain sufferers. Now it can help you too! How does Ankle Sprain Solved return you to walking, playing and creating memories FASTER? By giving you a comprehensive, step-by-step plan to heal your ankle sprain. By supplying you with immediate proven techniques to RELIEVE PAIN NOW! By allowing you to increase/decrease the stretching and exercise intensity as necessary. By building up your knee muscles and the other 8 Important Ankle Components. By teaching you the DOs and DON’Ts of injury exercise, including the most important ankle movements to AVOID. By guiding you through videos that show the RIGHT exercises, with the RIGHT resistances, and in the RIGHT order to avoid future ankle injuries. STOP Living with the Fear of Re-injury! I want this program to COMPLETELY heal your ankle sprain – QUICKLY! Here are detailed descriptions of the components that make up the Ankle Sprain Solved program. It’s important to understand how the different parts aid each other in HEALING and STRENGTHENING your ankle. So, you can get back to enjoying life FASTER! It’s extremely important, before you get started, to assess your current physical condition. This is the very first thing I do every time I see a new client with an ankle injury. We need to understand how much pain you’re experiencing, the severity of your injury, and your ankle range of motion. Having this information will PREVENT further injury and help you achieve the best possible results, in the shortest amount of time. In this section, you will receive a video and a brief manual to walk you through (step-by-step) how to complete your ankle sprain self-assessment. Based on that information, you’ll know EXACTLY where to start with the Ankle Sprain Solved program. You will also get a convenient assessment Fill-In Sheet to write down your answers and results, while watching the assessment video and reading the manual. It’s important you start relieving your ankle pain NOW, and that’s exactly what this Quick-Start Summary Sheet will do. In this section, I will explain (in plain English) how to proceed through the program, while improving your ankle strength and balance. Consider it your roadmap to overcoming your ankle sprain! Ankle Sprain Solved is an extensive program of easy-to-do and highly-effective exercises that progress through your healing process (thus limiting the threat of re-injury). The program is broken down into 3 separate stages beginning with easy stretches (Stage 1) and advancing to more challenging exercises (Stage 2 & Stage 3). Allowing you to self-direct your progress, while safely healing your ankle in the fastest way possible! This structure is in place to ensure EVERY person can complete this program and improve their ankle sprain, while strengthening the ankle to resist future injuries. Instructional Videos: The instructional video you receive in each stage (3 videos in total) is your personal training session with me – Rick Kaselj, MS.
Step-by-step exercise directions to be sure you’re doing movements correctly. The CORRECT weight, resistance, frequency, time and intensity for your sessions. Follow-Along Videos: You will also receive a follow-along exercise video in each stage (3 videos in total), which serve as a personal coaching session with me. In these videos, you will work through the exercises with my exercise assistant, while I count out time and reps. They’re perfect for workouts because these sessions are streamlined with less demonstration and more coaching/action! Easy-to-do and highly-effective exercises, stretches and movements you’ll perform during the Ankle Sprain Solved program. All explained in precise detail with step-by-step instructions! Start-position and end-position photos for every individual exercise/stretch. Common mistakes and how to avoid them in the future. (in more detail than the videos). I want you to understand how each movement and stretch should feel, so you can be CERTAIN you’re following the instructions correctly. Like the self-assessment at the beginning, it’s important to measure your progress during the program. Tracking your development will help you incorporate these exercises into your normal routine, while giving you extra momentum to improve. Check off the exercises and stretches as you complete them each day. It will only take a few seconds, but it provides massive benefits in the long run! That’s why this document is included in the program: to keep you on track and motivated. Although you can always refer to each different training manual, this quick reference guide will allow you to access the information in a faster, more convenient way. Each exercise is summarized in this guide with a start/end photo and instructions on how to proceed correctly. It’s quick and easy to verify the finer points of the program. Perfect for when you’re already familiar with the exercises and need a brief refresher! Showing you the proper progressions to increase your ankle strengthening. Educating you on the most common mistakes to avoid for re-injury. Strengthening your ankle in a way that helps to avoid future ankle injuries. You SAVE MONEY by avoiding unnecessary medical appointments or sessions! You can watch the videos ANYWHERE, ANYTIME and on ANY DEVICE, including: laptops, desktops, tablets, iPhones or any android smartphone. The lessons do NOT expire and can be accessed FOREVER. You can watch the videos on your own time and at your own speed by stopping/rewinding the video or reviewing the manual at any point. 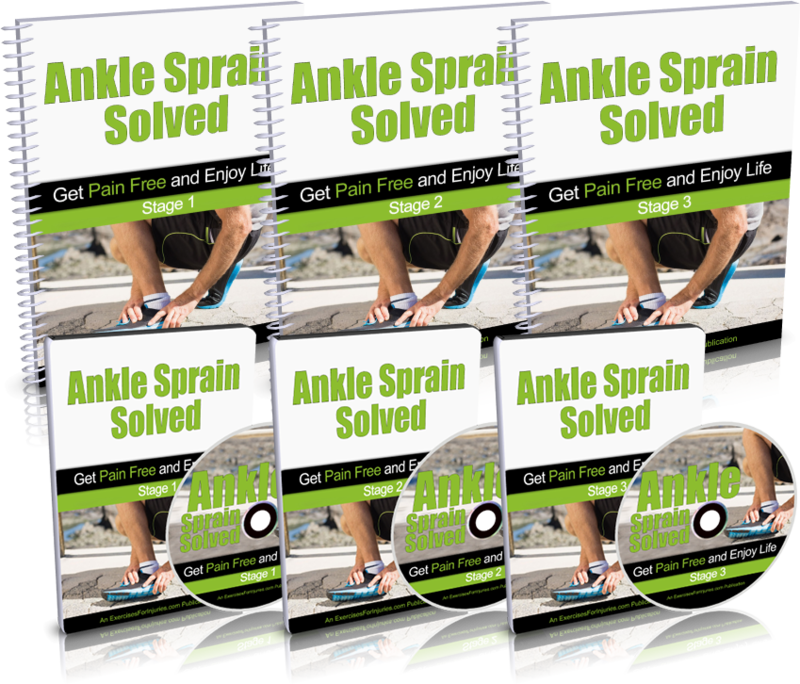 Click here now to order the Ankle Sprain Solved program for $37. ATTENTION: This program/offer will ONLY be available for the remainder of the week. Ankle Sprain Solved will be merged into a more expensive bundle offer next month; therefore, it’s your last chance to heal your sprained ankle at this SPECIAL PRICE. Personal training and coaching sessions with Rick Kaselj, MS. If you have questions... We have answers! How long do I get to access the complete Ankle Sprain Solved program? After the program is purchased, you will receive COMPLETE ACCESS for the rest of your life. Do I simply download my program videos, guides, sheets and manuals? YES – Once the program is purchased, you will be given instant access to all of the materials. That way you can start healing your sprained ankle right away. Is this program EXTRA exercises I have to do? Just like everything else? YES and NO – Ankle Sprain Solved is an exercise training program, but this is NOT the typical “shotgun approach” to injury exercises. I always provide you the least number of movements with the correct resistance and order. I cover all the necessary information, so you can heal your ankle faster. Honestly, I would suggest you STOP all other exercises if you’re using Ankle Sprain Solved. Do I need to strengthen my knee to heal my ankle sprain? YES, but that is NOT ALL – Strengthening and loosening the tension in your knee will generally aid in your recovery, but there are 8 other important components that come into play. Ankle Sprain Solved covers all these strategies and more. Take Control and Heal Your Ankle Sprain Faster! Ankle Sprain Solved comes with a 60-day, no-hassle, 100% money-back guarantee. “Test drive” the program for the next two months, and if for ANY reason you are NOT satisfied, you can simply email me to ask for a refund. If you’re not happy with the program (and it did NOT help your injury), I insist you take me up on it! After seeing so many people safely overcome their ankle sprains faster with this program, I am confident you will be thrilled with Ankle Sprain Solved. Let me help you overcome your ankle sprain today. 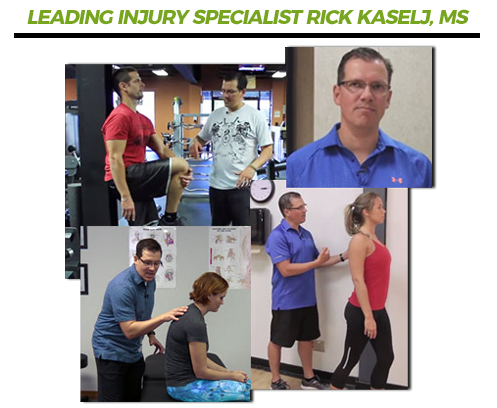 Rick Kaselj has been trusted by the largest fitness & rehabilitation associations in North America (NSCA, ACE, CanFitPro, BCRPA, BCAK, CKA, NHPC). If you do NOT already know me, my name is Rick Kaselj. I work as an exercise and injuries expert, while traveling as an international presenter to share effective injury exercises. I have published numerous articles for newspapers/magazines and written leading exercise manuals. 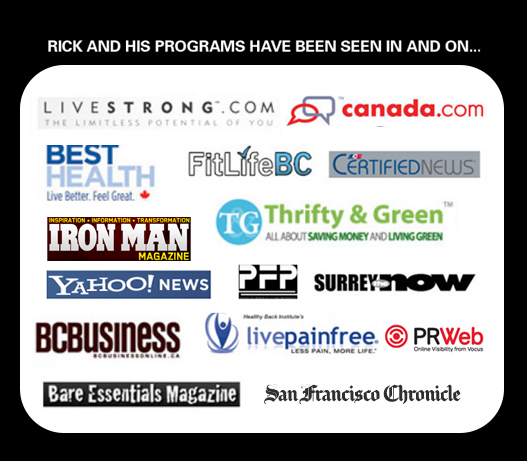 I have also given over 315 presentations to more than 6,000 health/fitness professionals across Canada and the United States. P.S. There is NO RISK for you to try Ankle Sprain Solved. If you are not thrilled with this program and how it decreases your ankle pain, let our team know by emailing us for a FULL REFUND. Your satisfaction is 100% guaranteed (60-Day Money Back). This special program/offer will ONLY be available for the rest of this week. Ankle Sprain Solved will be merged into a more expensive bundle offer next month; therefore, it’s your last opportunity to heal your sprained ankle at this DISCOUNTED PRICE. 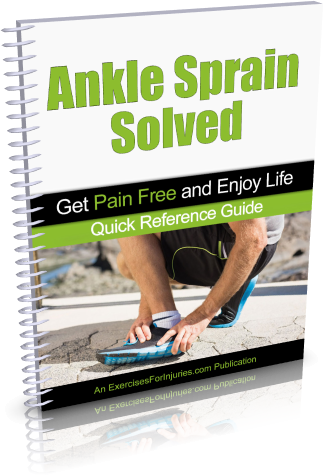 NOTE: The Ankle Sprain Solved program is a set of 7 downloadable videos, and 12 PDF files. No physical products will be shipped. After you order, you will get INSTANT ACCESS to download the videos and PDF files. The PDF files can be viewed on Mac or PC. The video format is M4V which can be viewed on Mac or PC. If you have any questions or need help, you can contact us at support@ExercisesForInjuries.com.